Home care services. Radfield cares for adults of all ages, with a particular focus on elderly people, covering everything from a 30-minute home visit to 24-hour care. Certification Training Course; Franchise Business Management Course; up to 10 days of Completion Training. 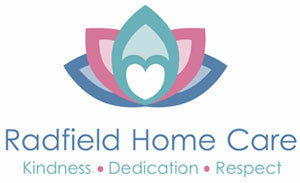 Initial training at Radfield Home Care head office in Shrewsbury, Shropshire. Completion Training in Franchisee’s location. Personal attention and care of the head office support team; advice help line; regularly updated operations manual; ongoing training; access to Radfield Home Care web portal; marketing and advertising support. Areas of Priority Development: Throughout UK. Breakdown of Package: Licence to operate Radfield Home Care in own territory; Operations Manual on loan for term of Franchise Agreement; full franchise training programme; HR/HS support and insurance; marketing materials; staff uniforms and DBS checks. Financial Assistance Available: Through banks.